Landlubbers beware! 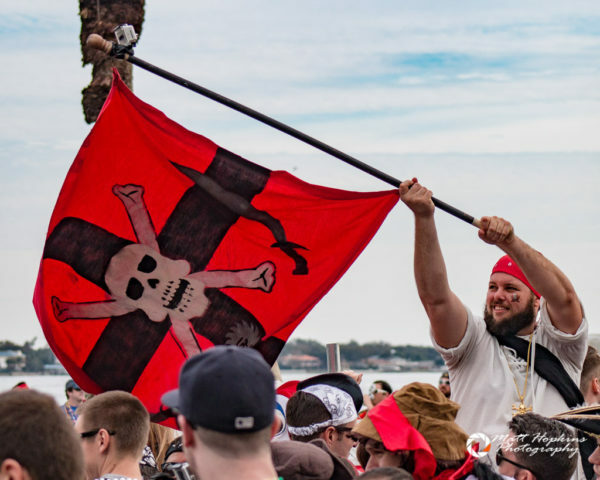 Thousands of pirates are about to descend on Tampa for Gasparilla Pirate Fest 2019, being held on Saturday, January 26th, 2019. On that day, the city is surrendered to the followers of Jose Gaspar, the famed pirate who according to folklore called the Tampa area home several centuries ago. For those who have never heard of Gasparilla, the easiest way to describe the big event is like Mardi Gras but with a pirate theme. Of course it’s much more than that – along with a full day of events from a pirate invasion to a block party on the last Saturday of every January, there are also a number of other events throughout the year that share in the Gasparilla name and theme. Children’s Gasparilla takes place this Saturday, January 19, 2019 providing an family friendly version of the festivities a week before the main event. There’s a parade, “piratetechnics” in the evening, and more. Visit the official website for all the details. The main event takes place on Saturday, January 26, 2019 from 9 a.m. to 9 p.m. in downtown and along Bayshore Boulevard. Gasparilla isn’t just about the Parade of Pirates and drinking, although for many that’s a big part of the event. 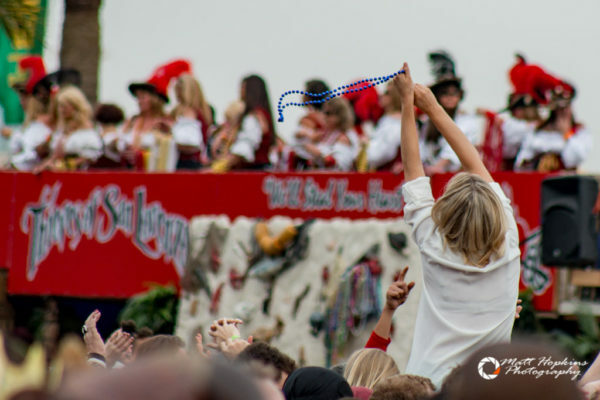 This year actually marks the 103rd for the event – though the lineup of festivities has changed over the last century, Gasparilla is steeped in tradition and folklore. 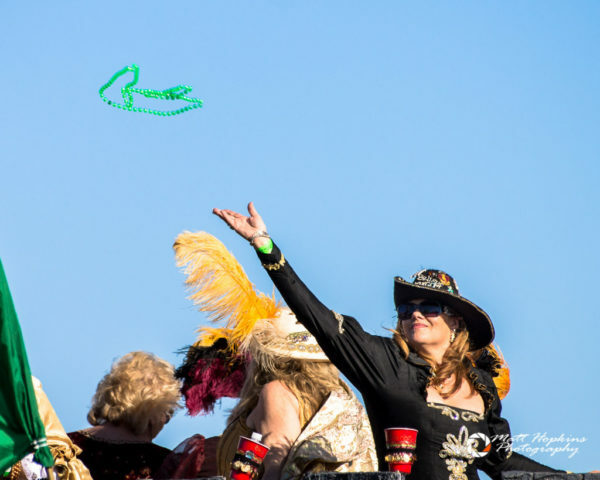 Locals and visitors alike enjoy the escape from the daily routine, all while getting dressed up like a pirate and collecting bountiful booty (in the form of beads). Despite the huge crowds and consumption of copious amounts of alcohol, the event in recent years remains a safe and fun environment. In fact, the last few years have only seen a few dozen arrests and citations. The day begins with an invasion with hundreds of boats large and small coming up the channel into downtown, and continues throughout the day with live entertainment in downtown and the parade streaming up Bayshore Boulevard for several hours. Know before you go. 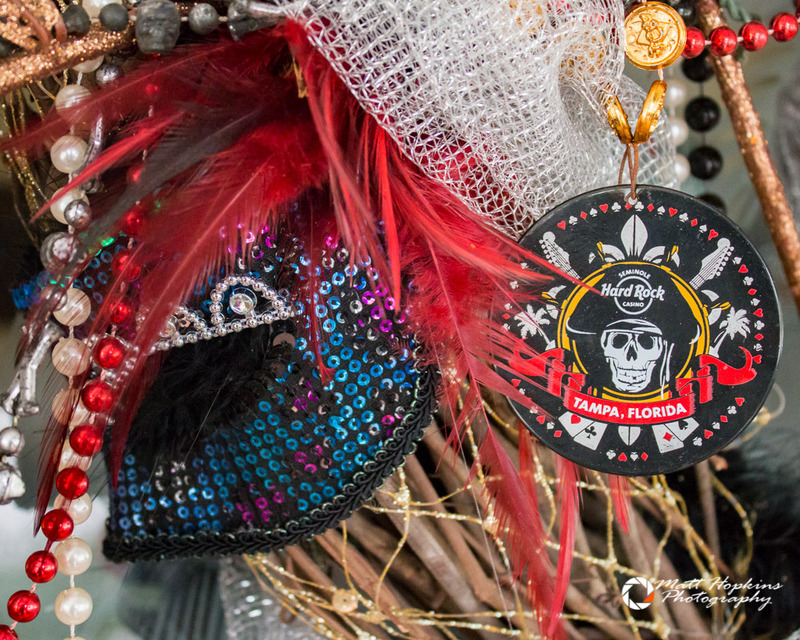 Check out the official Gasparilla website, which includes all sorts of information, including the parade route map, how to get tickets for reserved parade viewing, the complete schedule of events, and a helpful FAQ section. Know what streets will be closed and where to park by visiting the city’s comprehensive listing here. Arrive early in the day. As you might imagine, traffic can be heavy and parking is at a premium with literally tens of thousands descending on Downtown and South Tampa for the event. Pay close attention for any temporary “no parking” signs, especially in the neighborhoods surrounding the parade routes. If you plan on spending the day in the downtown area, consider parking in Ybor City and using the streetcar or other public transportation. Don’t rely on your cell phone. With crowds of tens of thousands in and around Tampa for the day, cell service can take a hit. Try making plans ahead of time on where to meet up with friends along the parade route. And once you get there, pick a meeting spot in case your group gets separated. Texts and messages through apps can be delayed or fail to send altogether, and while most calls will probably make it through, it can be next to impossible to hear in the huge crowds. Drink responsibly. 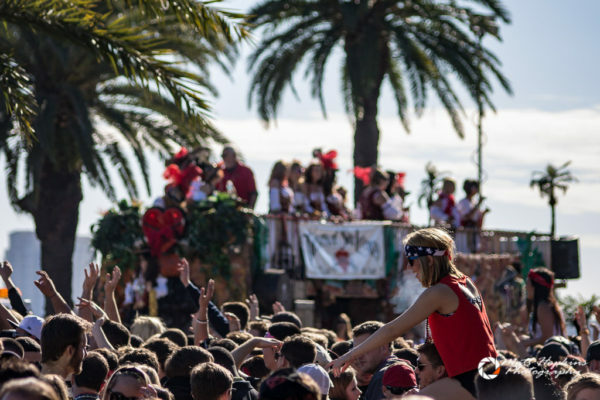 A big part of Gasparilla is the partying, which means lots of taps and bottles flowing from early morning ’til late at night. It’s easy to get carried away, so remember to pace yourself for a day of fun to avoid a night of misery. And of course, don’t drink and drive. Either stay the night or stop drinking early enough to be sober before getting behind the wheel. Stay hydrated. Don’t forget to drink a lot – of water. Whether or not you enjoy alcohol as part of your pirate adventure, it’s important to stay hydrated. If you are enjoying adult beverages, drinking water will also help to keep from getting sick and having a hangover the next day. Wear sunscreen. Hopefully the weather will be great for Gasparilla 2019. The long range forecast is showing a mix of sun and clouds with a high in the mid 60s, so be sure to put on the sunscreen or otherwise protect yourself from the sun. You can easily end up with a mean sunburn while standing out watching the parade pass by if not protected. Keep your cool. While staying physically cool doesn’t look to be an issue this year, it’s important to remember to bring your patience along for the day. The crowds are huge, lines can be long, and a number of people are enjoying alcohol – some excessively. Surprisingly though, incidents and arrests are minimal. A strong law enforcement presence and a large local and regional crowd helps keep things under control. Don’t lose your head over something simple like being bumped into – just let it go and continue having a great time. Be respectful of private property. There seem to be two types of homeowners along Bayshore Boulevard and the surrounding neighborhoods – people who love Gasparilla, and those who hate it. While a great number of residents deck out their homes with pirate paraphernalia, there are also those who literally put up large fences and “no trespassing” signs in an effort to keep their homes from being plundered (and their yards from being stomped over and left a mess). Common sense is key – don’t climb over fences, throw trash into yards, or trespass anywhere. It’s just not worth it. 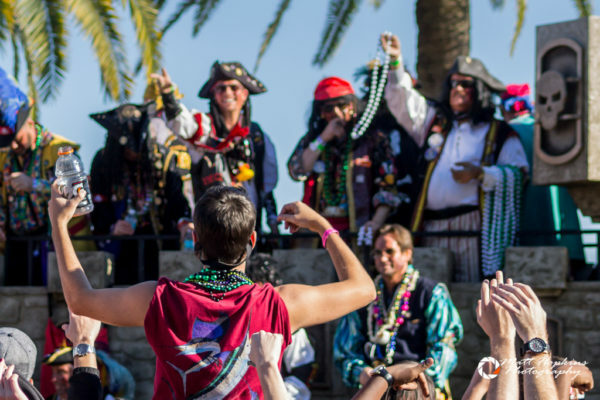 For more details on the Gasparilla Pirate Fest, be sure to visit the event’s official website. Special thanks to photographer Matt Hopkins for the images in this article.